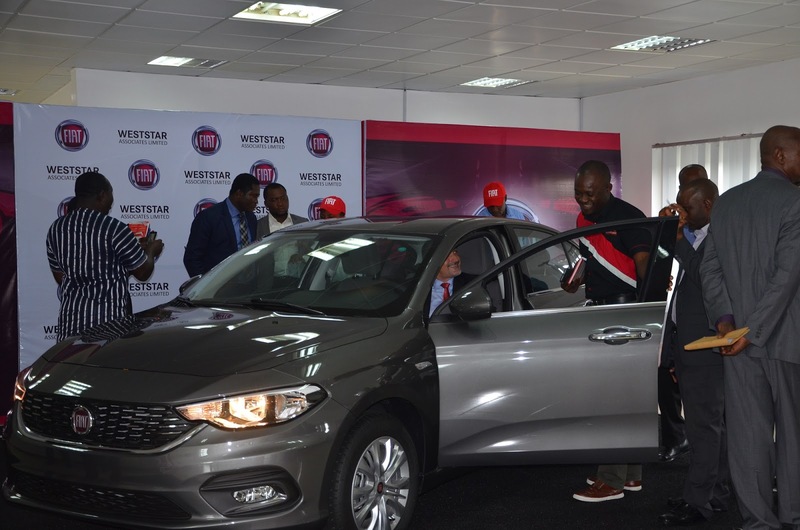 Weststar Associates recently called the motoring journalists in Nigeria and some other guests to the launch of the Fiat Tipo. This is epochal in two main ways viz: Fiat is a new brand in Nigeria (this is actually a 2nd missionary journey) and under the stables of the indefatigable Weststar Associates. Secondly, this will bring Weststar closer to the masses as hitherto most people perceived them to be a brand only for the wealthy with their Mercedes-Benz, Chrysler, Jeep etc brands. 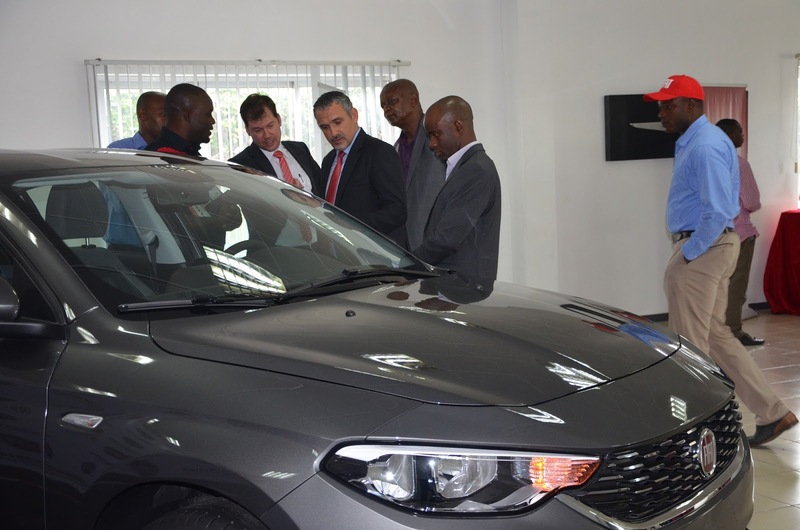 (L-R) Mr Mirko Plath; Managing Director/CEO Weststar Associates Limited and General Manager for the FIAT Chrysler brands in Nigeria – Mr. Stavros Diamantidis. In his welcome address, the Managing Director/CEO Weststar Associates Limited Mr. Mirko Plath said…. 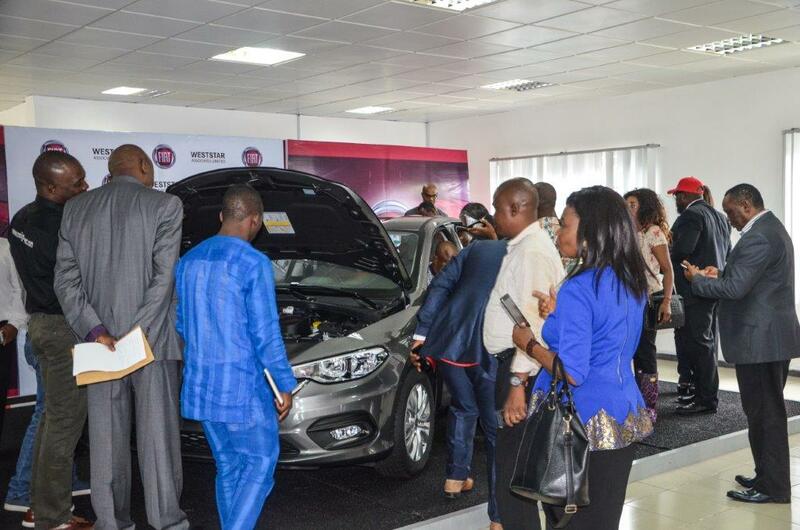 “today we have started an evolutionary journey by taking one more step in our business as earlier announced in the year, we have listened to our customers and we have – after many months of planning, research and business meetings, finally completed this extraordinary task to make a dream come true especially in the Nigerian market bringing FIAT back home (a product that thoroughly satisfies and excites despite the present economic circumstances and the challenging times. Let us focus on the Fiat brand slogan, driven by passion. This slogan inspired us to deliver more for less”. FIAT is a major brand from Fiat Chrysler Automobiles group. The formal merger between Fiat and Chrysler Group carries on the tradition of two historic automakers: Fiat founded in 1899 and Chrysler founded in 1925. As the largest automobile manufacturer in Italy, the acronyms “FIAT” stands for Fabrica Italiano Automobili Turino. An excited Kingsley Uwatse (the Sales Manager for the Tipo) ready to hit the ground running. Born over a century ago, the FIAT brand has acquired a long history that includes war, automotive innovation and international conquest. Fiat was also involved in the manufacturing of military vehicles, machinery and commercial vehicles for the Italian Army and Regia Aeronautica. By the 1950s, FIAT resumed full car manufacturing thus, strongly benefiting from the Italian economic boom thereby putting four million Italians on the road with its famous two cylinder FIAT 500. FIAT also expanded its offerings to the U.S, rebuilding many of its former operations in the States. From that point on, Fiat products became popular roadsters in the U.S., especially among young Americans – a trend that continues to this day. The brand has since then grown to become one of the most esteemed car brands in Europe and in the US as it has won the “Europe Car of the Year” more times than any other car brand. As the sheet cover was slid off by the hot-looking models, it was a very sleek and well designed car that was presented. Ladies and gentlemen, here is the new Fiat Tipo. called compacts — are the largest of the small cars. Examples include the Fiat Tipo,Toyota Corolla, Ford Focus, Chevrolet Cruze, Mitsubishi Lancer, Honda Civic, Hyundai Elantra, i30, Mazda 3, Nissan Sentra, Peugeot 308, 408, Renault Mégane, Fluence, BMW 1 Series, Mercedes A Class, Audi A3, Tata Manza, Volkswagen Golf, Jetta and Alfa Romeo Giulietta“…….Wikipedia). 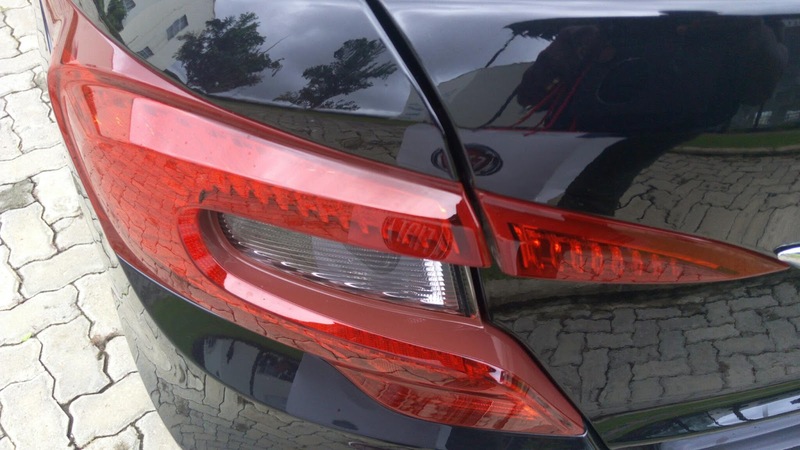 So the competition for this car especially here in Nigeria from other ‘C-Segmenters’ is supposed to be tough but from what i saw and the features, more importantly, the right pricing they have come up with, i see and predict this car trumping others and sailing away to a comfortable victory. Unlike most other cars in the C-Segment, this Italian car was set out from the onset designed first as a Sedan unlike others that mostly start off as either a hatch or an estate model. Reverse Camera and all other features come as standard. 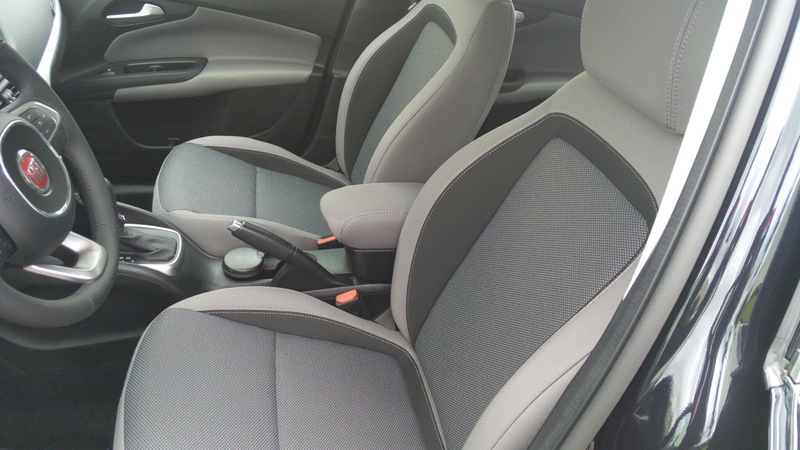 There is an impressive headroom, shoulder and leg room in the car. The trunk is not left behind as it is cavernous enough to hold your needs. The FIAT Tipo is 4.54 meters long, 1.79 meters wide and 1.49 meters high. The 2.64-meter wheelbase emphasizes its excellent internal comfort. Two alloy rim patterns (16” and 17”) are available with a wide variety of body colors (pastel and metallized) as well as four different interior segments. The FIAT Tipo has a rigid, lightweight body chassis. This results in lower weight, first-class handling dynamics and impressive strength in the event of an impact. Spacious interior with all features within reach and easy to use. Another thing that is noteworthy about this car is that everything you see in this car sold by Weststar, all the features are all standard. This means that you are not paying a dime extra to have them fitted unlike others in the same Segment. USB, 6 airbags, Bluetooth, reverse camera, city driving mode for the steering wheel, multi-function steering wheel etc all come as standard features. If you try this in others eh, you will pay more. The Fiat Tipo 4-door basic model exudes style with its painstakingly simple designs inside and out. The interior comes with fabric upholstery, chrome and gloss black detailing. The instrumental panel possesses a clear and uncluttered design offering all the information needed on a thin film transistor screen. These features are also found in the five-door model and station wagon. On the inside, this five-seater sedan offers 520 liters space in the luggage compartment and 1150 liters when the rear seats are folded back. Other key features include 60/40 foldable rear seats, Uconnect TM system with a 5″ color touchscreen, hands-free Bluetooth system, audio streaming, text reader and voice recognition, AUX and USB ports with iPod integration, controls on the steering wheel and, on demand, a rear-parking camera with the new TomTom 3D Touch navigation system. USB and AUX ports are there for your use. The city driving mode steering helps lighten up the steering so you can maneuver the car through tight spaces especially when parking, this should interest our ladies more. City Driving. And opening your boot is just a button away. The engine is a frugal 1.6 liter unit with a low torque pick-up point you have 80% of your torque from 1,500RPM thus helping ensure you drive smoothly with less fuel without having to change gears often. The 1.6V E.torQ Petrol (gasoline) engine with 109hp that yields an economical fuel consumption of 15.9km/l. It also comes with a five-speed transmission and a Front-wheel drive. Thus, the weight of the engine and transmission is directly over the driven wheels to reduce weight and production cost, improve fuel economy and deliver better traction. Remember that Fiat owns Ferrari and Maserati so you should expect an exciting drive from the 152Nm powerplant. This might sound very low compared to the likes of her supercar siblings but hey, you will be amazed with the Tipo’s performance. The Tipo comes with McPherson independent suspension up front and interconnected wheels with lateral dynamic control at the rear. Thus, the suspension system is lightweight, efficient and reliable while the Frequency Dependent shock absorbers filter out stresses more effectively to reduce body roll when cornering. The car also has a rough road package and good higher ground clearance. Equipped with some of the most advanced safety systems, the Fiat Tipo offers simplicity and peace of mind to its passengers. Some key safety features include six airbags and Electronic Stability Control (ESC) with Hill Holder, anti-lock brakes (ABS) complete with electronic brake force distribution (EBD), fog light with cornering function and Tire Pressure Monitoring System (TPMS). Also, even in the tightest maneuvers, the Tipo yields a record turning circle of just 11 metres. Regardless of the speed, the Anti-Slip Regulation system (ASR) uses the brakes and engine control to optimize the traction of the Fiat Tipo 4Door even on slippery roads. The Hill holder offers a helping hand with hill-starts by keeping the brake applied for about 2 seconds to ease pulling away on a gradient without juggling with the handbrake. Enhanced security….no pin-lock to pull up. But don’t lock your keys inside also. Messers Plath and Diamantidis…explaining some details to some of the journalists. Mr Diamantidis showing me one of the exciting features of the car. Cutting of the Fiat Tipo launching cake for the event. Some of the guests at the occasion.